Elegant Lighted Showcase arrives to you fully assembled and ready to use. 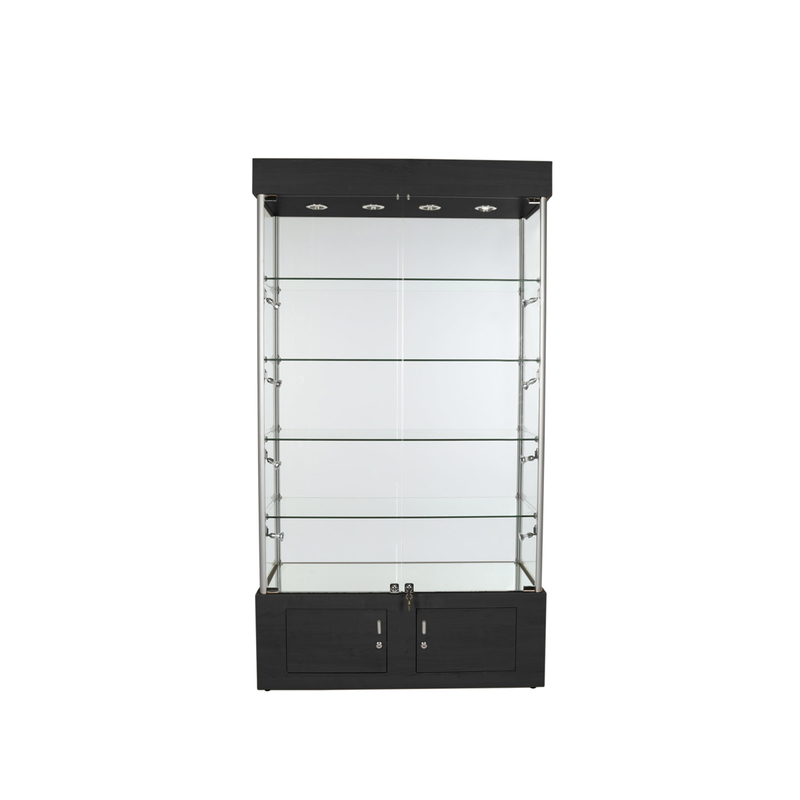 Our glass display case has black anodized aluminum framing. Black laminate crown top canopy and cabinets are scruff and scratch resistant. Tempered glass showcase has 4 glass shelves and a bottom mirrored deck. 14 in. between the base deck and the 1st glass and 12 in. between the rest of the shelves. 4 sealed beam halogen spotlights in the top canopy and 8 mounted halogen mini-spotlights along the sides for additional product highlighting. Switch the included halogen lights with our LED lights, sold separately. Search items 4997 and 4998. Bottom cabinet is 14 in. H with double locking doors and 2 keys. Includes 6 ft. standard electrical cord. Not available for private residence delivery.